Post your story by 11:59 PM PST on Tuesday! I add them here throughout the day on Tuesday. 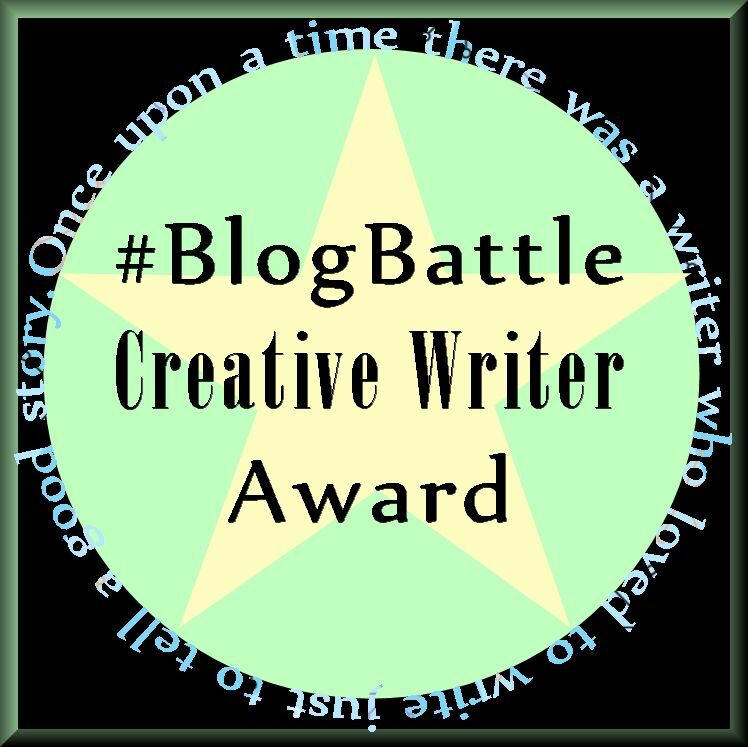 Look for stories using #BlogBattle on Twitter, too! Wednesday, the poll gets added. Be sure to read them all. All the links will open in a new window so that you can easily navigate back to this list. RULES for VOTING: Anyone can vote as long as you’ve read ALL the stories for this week by Midnight PST, SUNDAY. Vote for your TOP 3 favorites. Winner announced on Monday! Read all the stories & PLEASE VOTE for your top THREE favorites (not all for the same, though!). Vote by Midnight PST on Sunday so I can announce the winner on Monday. Thank you so much. I enjoy our weekly stories a great deal, and I hope you do, too! PG (no more than PG-13) Content – let’s keep this family friendly! State the Genre of your story at the top of your post. Hi there, I am not sure if I have missed it, but have you announced the winner of week 43? I hope you are having a great day and I am looking forward to hearing from you. Thank you! Its good to be back in the games again. Not the same without you! 🙂 Right back at you! You’ve blessed us with a wonderful blogging community! Thank you queen of wonderful! Man, I wanted to participate but my job has me flying Tuesday and Wednesday Oki time (so working and sleeping pretty much all day Tuesday PST). But before bedtime the challenge inspired me to start a scene in my next book, and I got 800 words written when I easily could have settled for 0. So thanks for doing what you do, Rachael! I think I’ll be back in it next week.